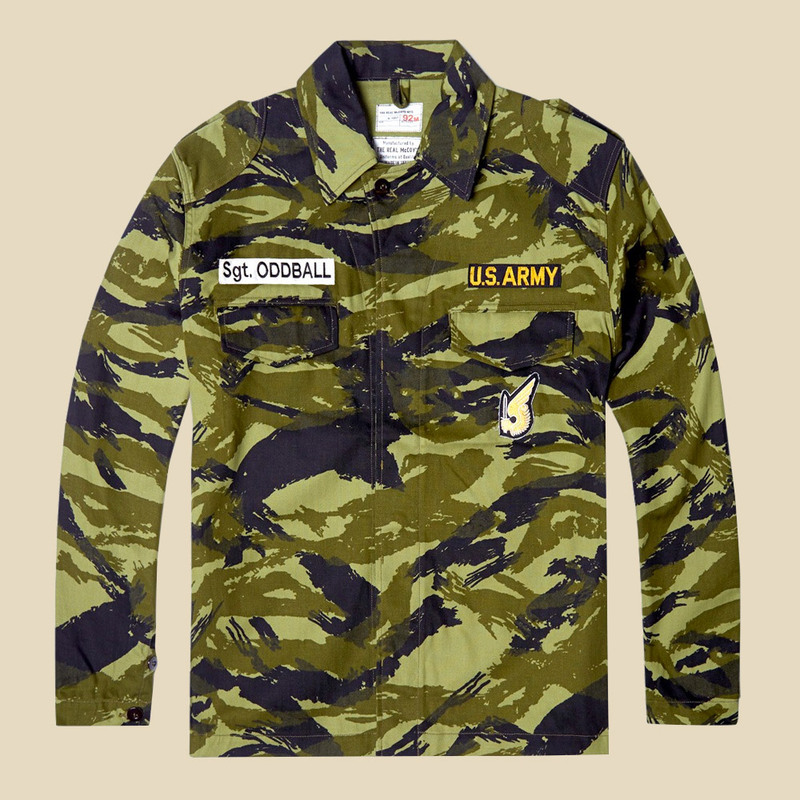 We’ve covered popular prints from the cold war era or earlier, so our timeline does not include multicam, cadpat or any more recent or obscure patterns. 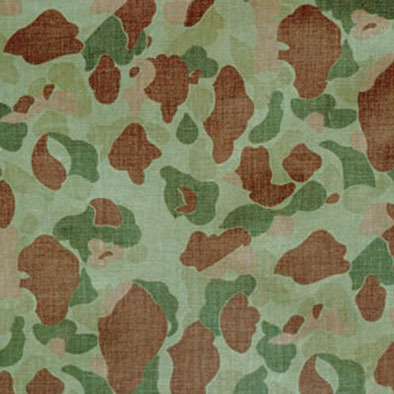 While camouflage has likely been in use in some form or another since the beginnings of warfare, its formal application in patterns dates to around the first world war with the creation of the French army camoufleurs a group of fine artists who painted patterns mostly for stationary objects — observation posts, artillery positions & headquarters. Camouflage was also used by snipers working on both sides in the trenches or no man’s land with hand painted motifs and shrubbery applied to netted suits. As I did stand my watch upon the hill, I looked toward Birnam, and anon methought. The wood began to move. 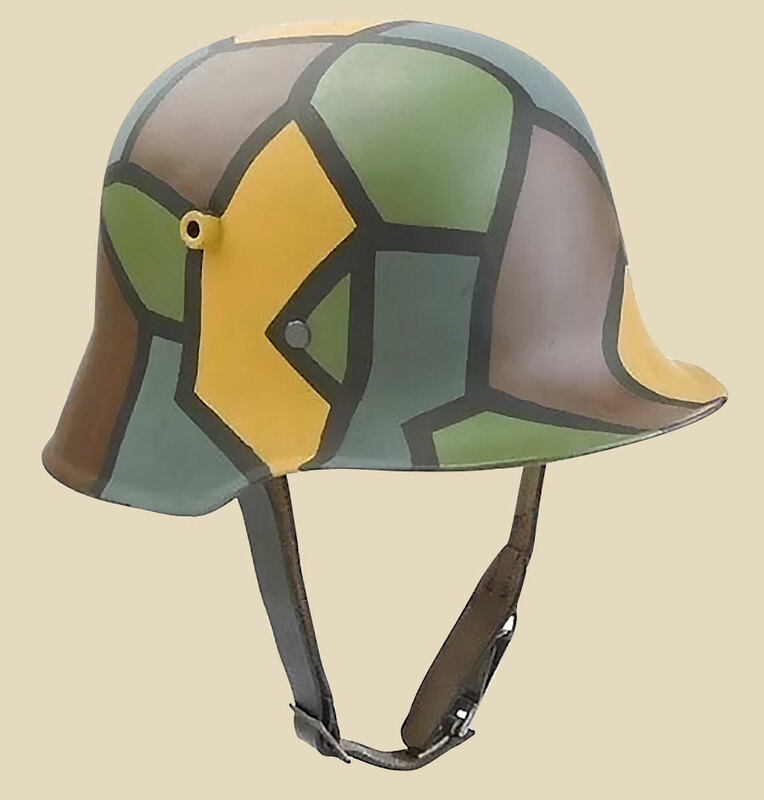 Early example of camouflage on a German sniper's helmet. Note that it's hand painted in a cubist pattern. 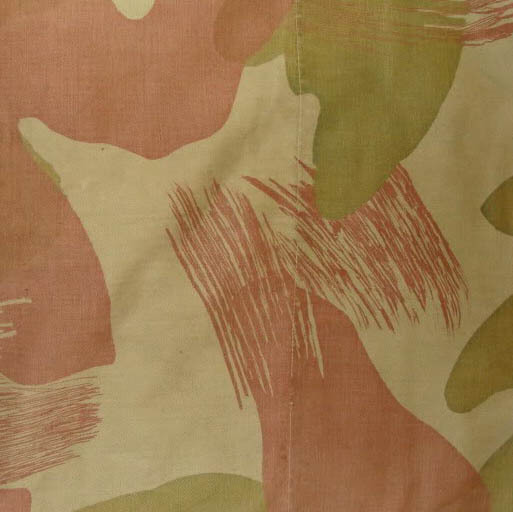 Despite it's widespread use during wwi, the first mass produced camouflage pattern wasn’t seen until Italy’s 1929 pattern ‘Telo Mimetico’ — Italian for “camouflage cloth.” It was utilised in square ponchos that could double as shelter, some being produced as special smocks for parachute units. It saw use with Italian special forces during the second world war & later was adapted by German forces fighting in Italy. A revised version of the pattern designed in the 1950s was still in use up until the 1990s. While previously uncommon it has popped in several designs by Japanese brands this season. It offers an appealingly obscure alternative to the more common designs. 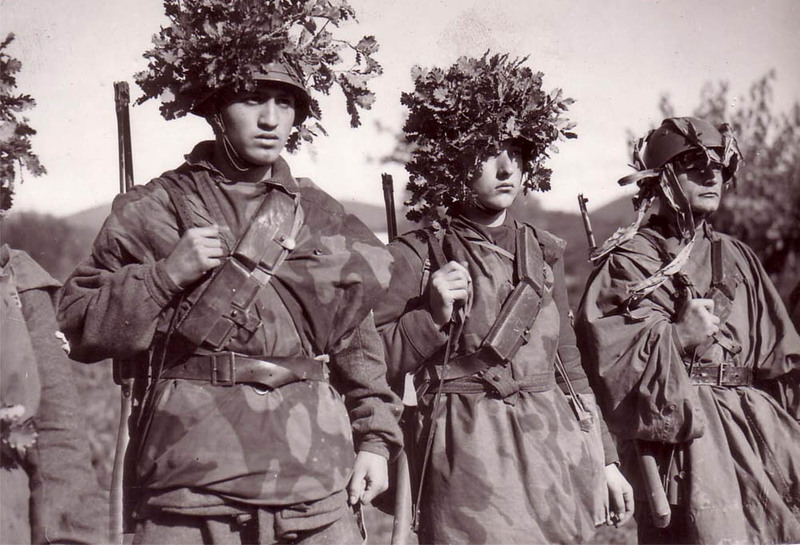 Elite Italian soldiers in 1944 wearing Telo Mimetica smocks. Japanese designers incorporating Telo mimetico into their lines. 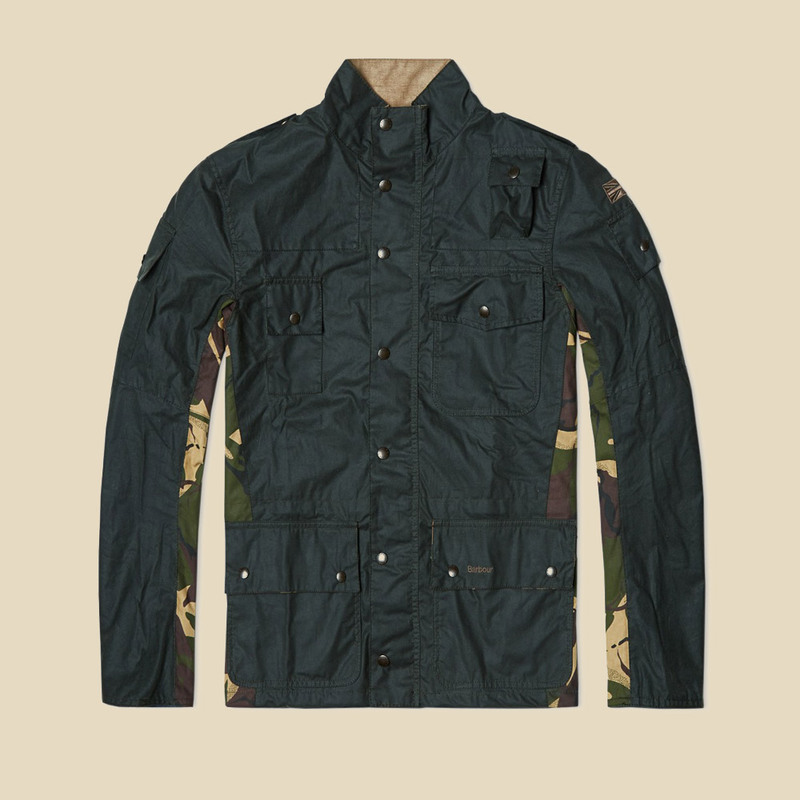 The Denison pattern was created for British special forces & parachutists in the second world war. It is sometimes known as brushstroke pattern, appropriately as it was actually made by hand with large brushes on a khaki base, because of this the pattern can vary considerably. 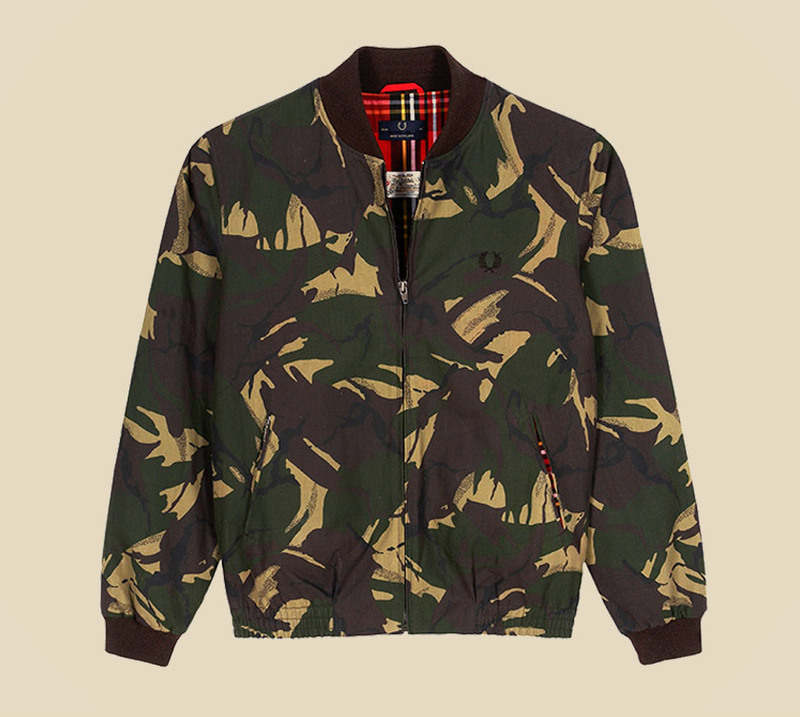 Not a common menswear pattern, with the notable exception of popular English designer Nigel Cabourn, who has featured it in several of his designs. 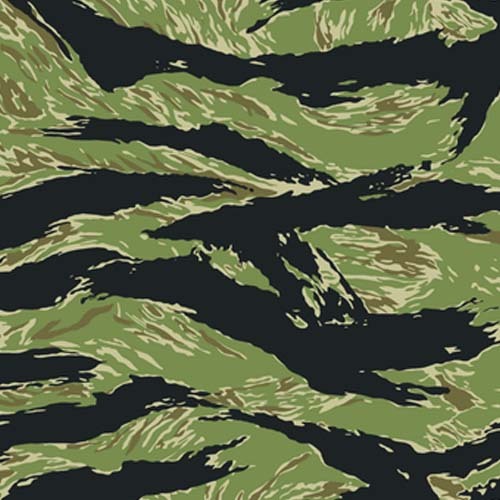 It was also a heavy influence on the French lizard camouflage which has been featured in Japanese designs, which in turn was a big influence on the famous Vietnam-era tiger camo. 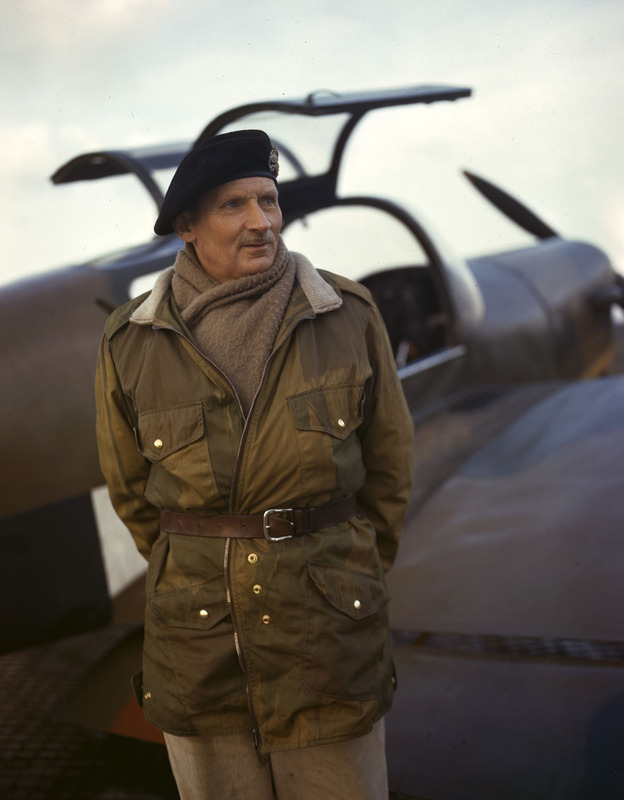 Famed British Field Marshal Bernard Montgomery in a camouflaged Denison smock jacket. Created in a rush in 1942 for the United States Marine Corps use in the Pacific theatre of wwii, the M142 nicknamed ‘Frogskin’ was designed by a civilian Norvell Gillespie, horticulturalist and editor of ‘Better Homes & Gardens.’ The original issue was double sided with a sand colored variation for use on beach landings. A variant was also printed on parachutes used in the European campaign, cut up to be utilized as scarves, poncho's and helmet covers. The pattern was popular with hunters in the post-war period and infamously used by the cia backed Cuban-exiles during the Bay of Pigs invasion in the early 1960s. 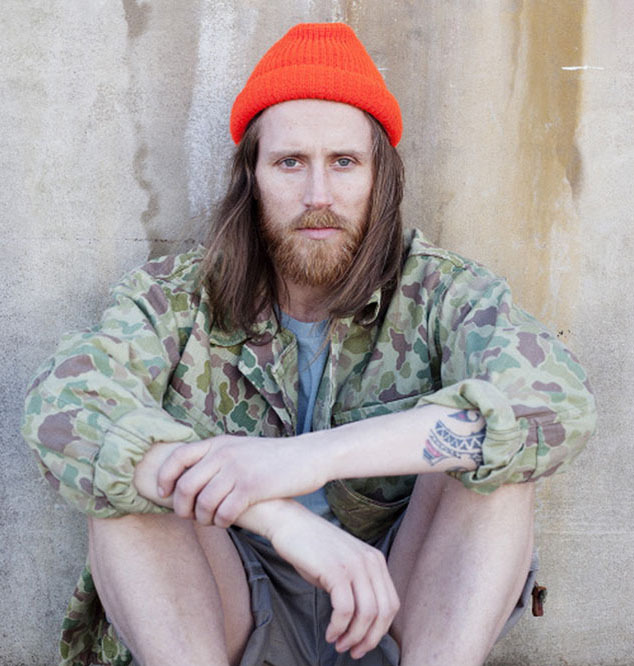 The pattern regularly appears in menswear collections with brands like Visvim utilizing it. 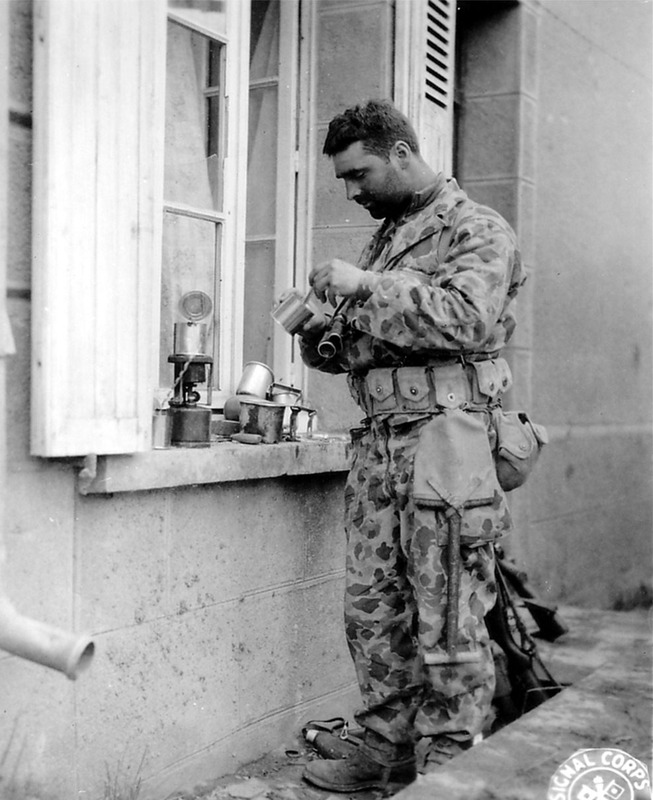 A usmc soldier in Frogskin camouflage near Normandy, France. 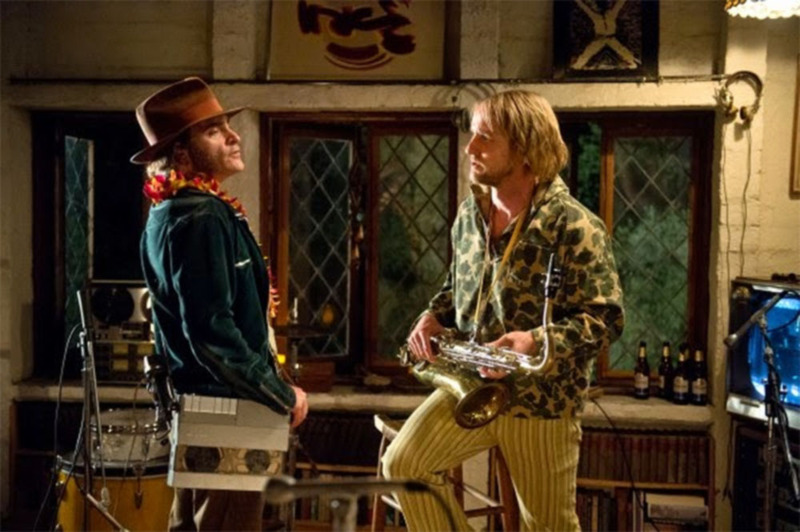 Owen Wilson wearing frogskin as Coy in Inherent Vice. 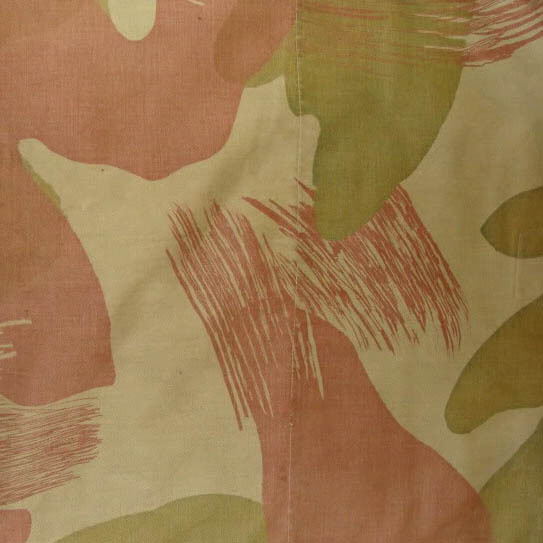 The Lizard pattern (also known as Leopard) was a French design derived from the Denison smock. 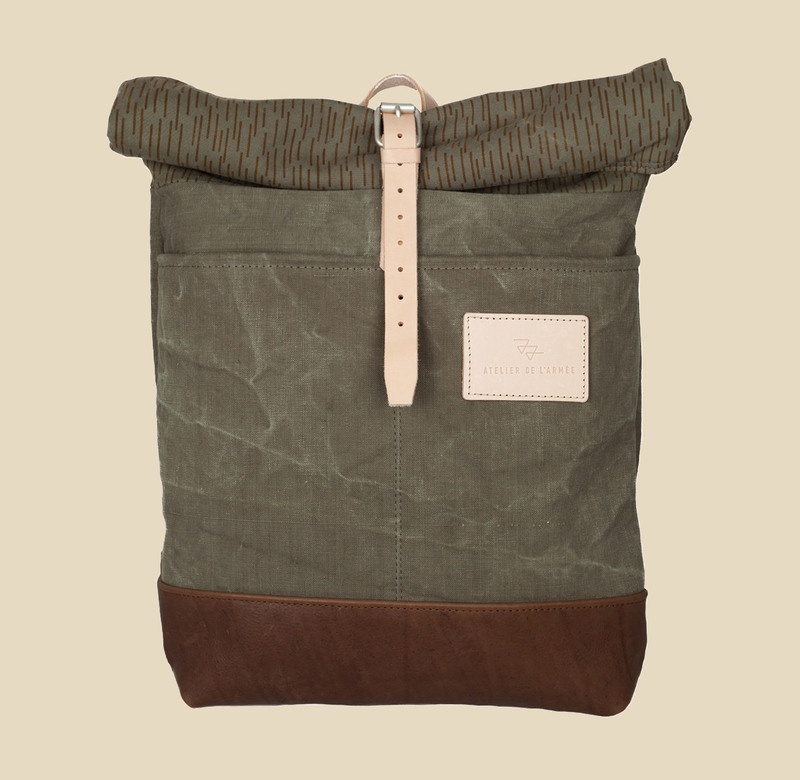 It was produced industrially with smaller brushstrokes and various tones of green, khaki & brown. 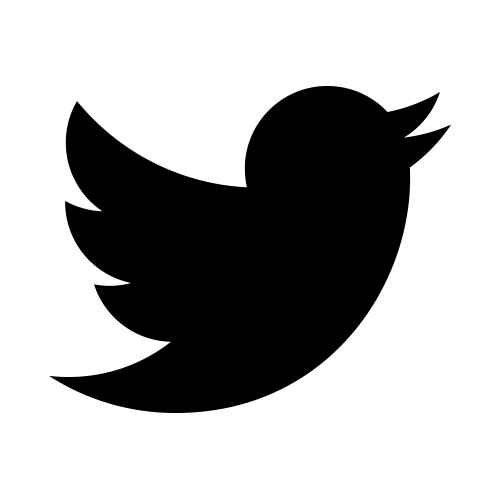 Most versions have a strong horizontal orientation though some are vertical. While it was influenced by Denison, this pattern took on a life of its own creating a whole family of variations & derivatives in countless world militaries. It’s most famous for its role as the uniform of French paratroopers in the Indochina (Vietnam) & Algerian colonial wars. 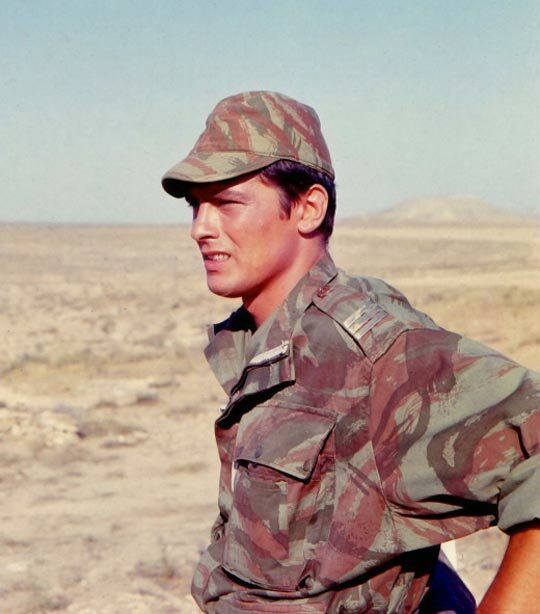 French actor (and former soldier) Alain Delon clad in Lizard print for the 1966 film The Lost Command. Possibly the oddest pattern to warrant widespread use in a fashion context, Tiger stripe was essentially an Asian knockoff of the French leopard/lizard pattern. It was mostly produced in Vietnam and Thailand, for local forces fighting alongside the French during the Indochina war. Later it was used in the American-led Vietnam war, where it was often adopted by the American special forces working alongside Vietnamese units. Tigerstripe is also highly non-standardized as it was created by various manufacturers with varying stripe density and tones. 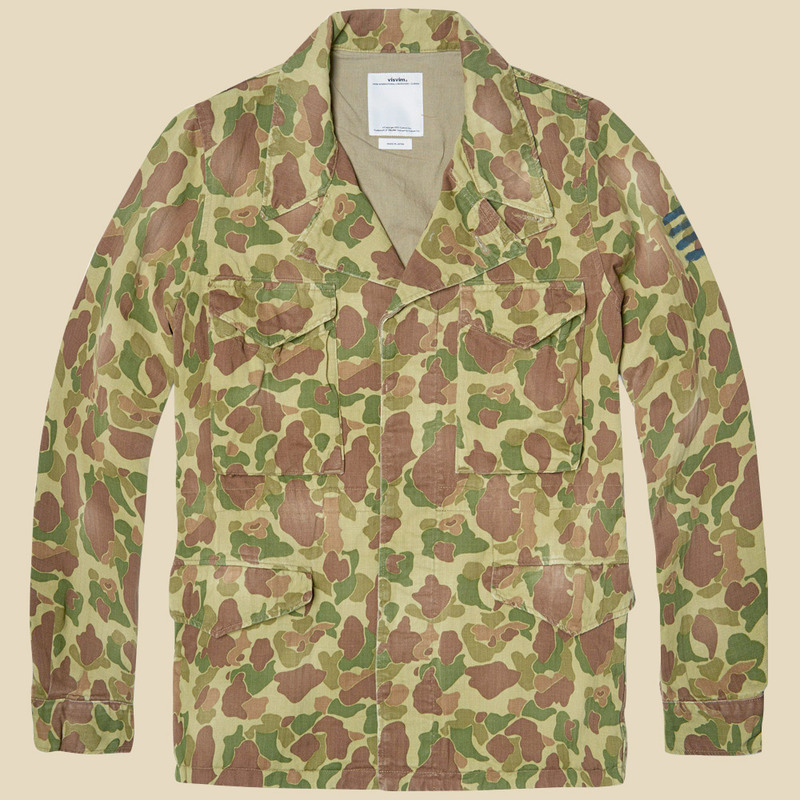 It was one of the earliest camouflauges adapted by civilians — war reporters & photographers often had jackets or even blazers created by local tailors in the distinctive pattern. Featured in street & menswear collections on a consistent basis, it has become a staple. 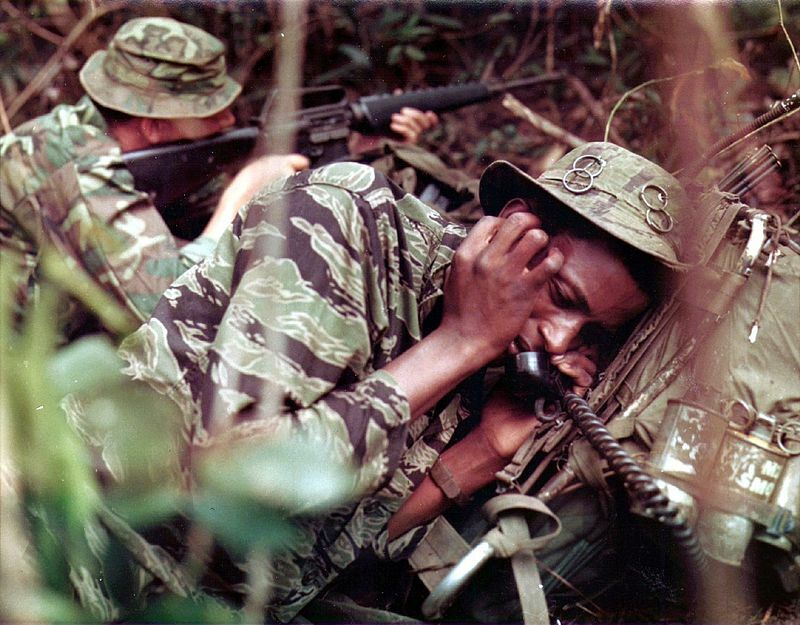 American soldier in Vietnam dressed in Tigerstripe camo. 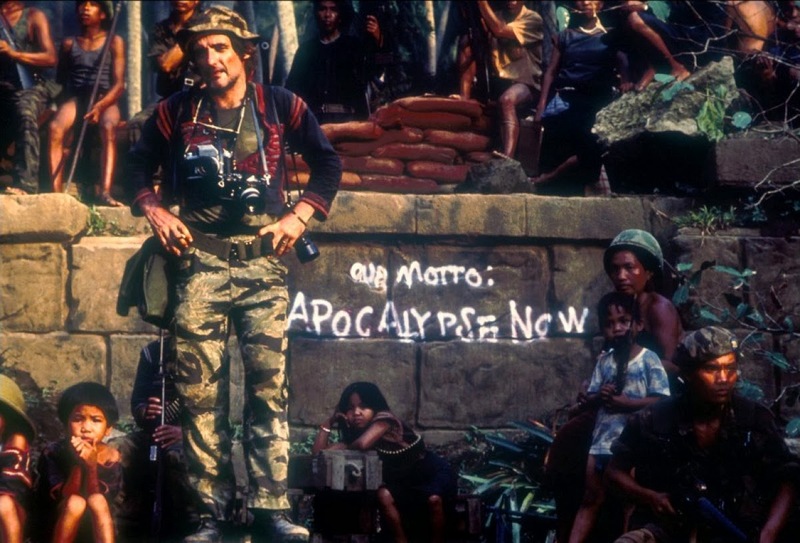 Dennis Hopper as a photojournalist wearing tigerstripe in Apocalypse Now. 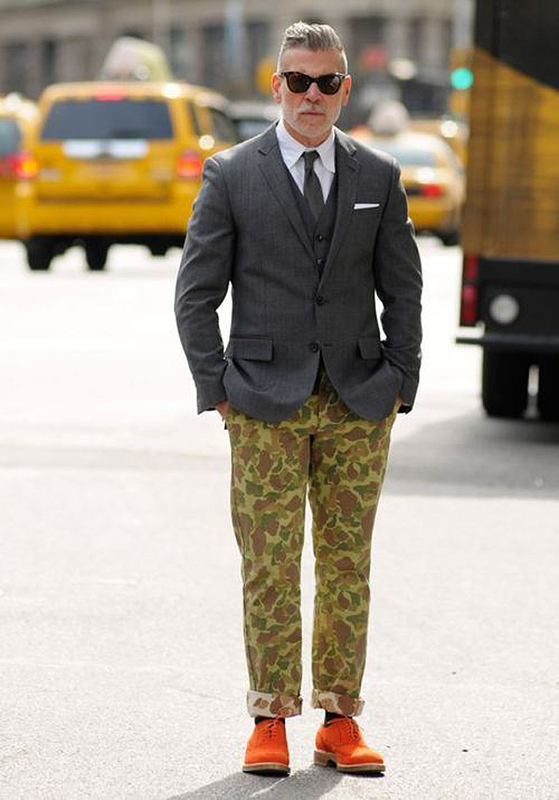 Mark McNairy Camo Pants for Standard. 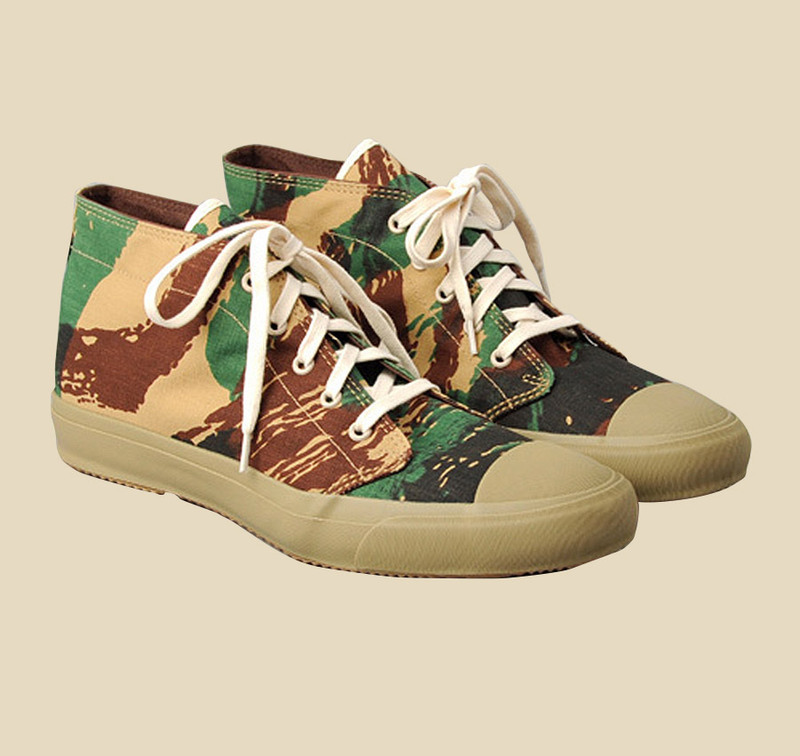 McNairy also produces some wonderfully subversive takes on camo for his own line. 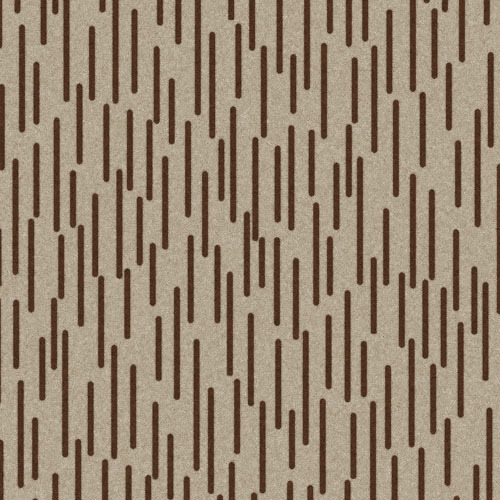 A recent revival has seen the distinctive East German Strichmuster pattern — more commonly referred to as raindrop — rise in popularity. It’s likely derived from the wwii era splinter pattern which featured coloured splotches beneath dark uniform lines similar to raindrop. 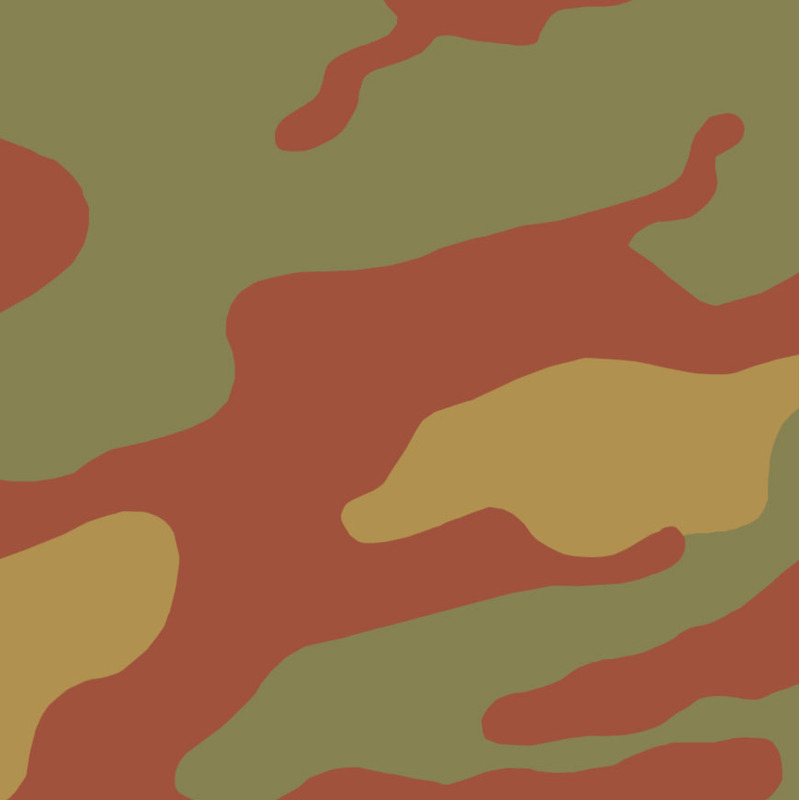 The pattern is notable for being very popular (used extensively by the Warsaw pact forces) despite the fact that it’s largely ineffective and rates poorly as camouflage in all environments. Raindrop was in production until the collapse of the ddr in 1990. Raindrop is unusual in that it is one of the rare non-nato, non-western camos to see use as a fashion reference. Recently it’s been used by brands such as A.P.C. 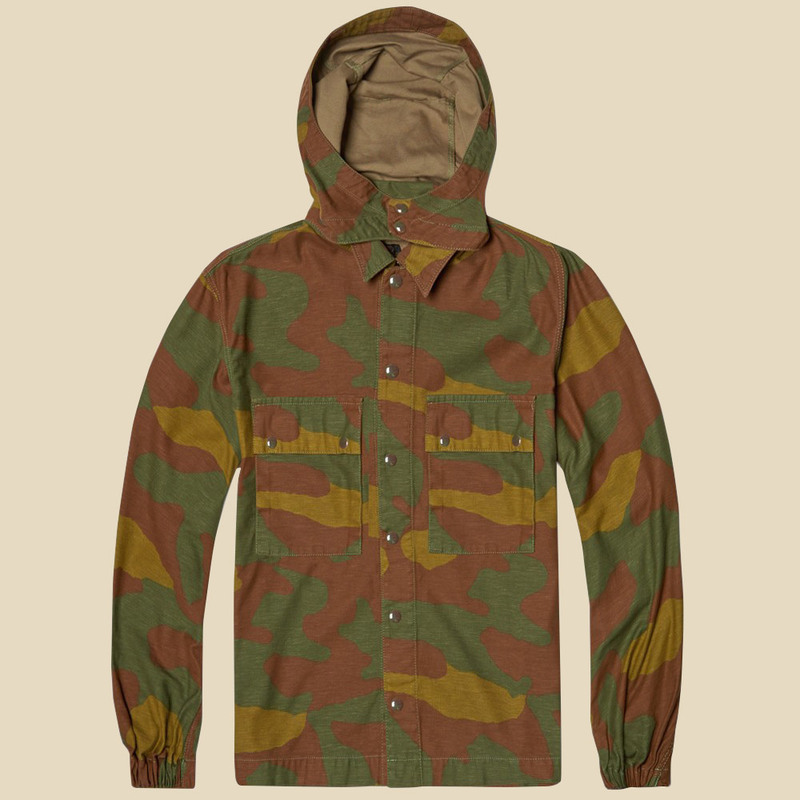 and Rogue Territory, who use authentic East German dead stock to produce their clothing. 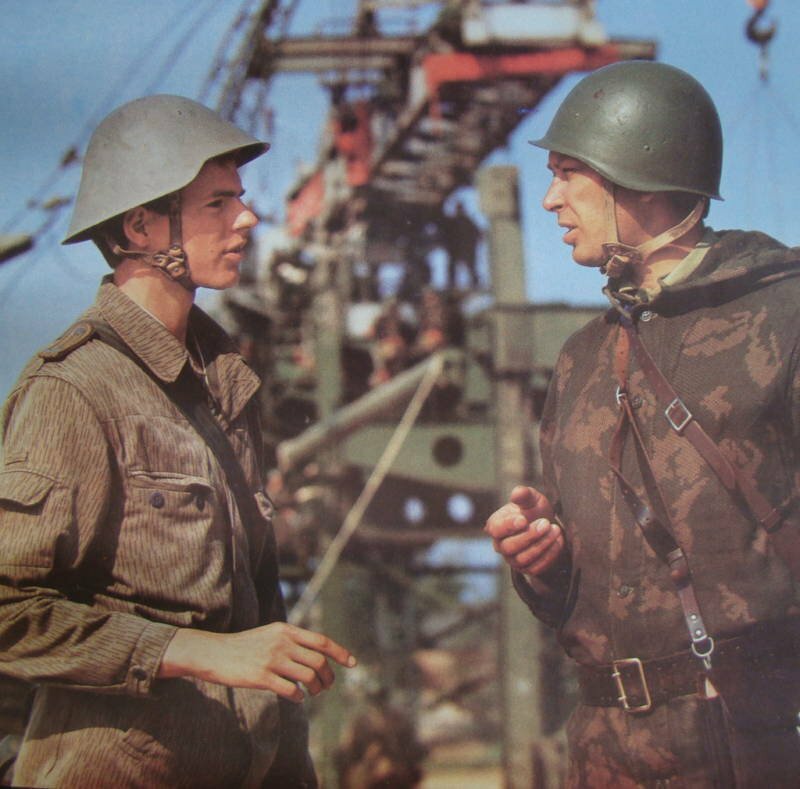 East German soldier pictured with his Soviet counterpart in the 1960s. 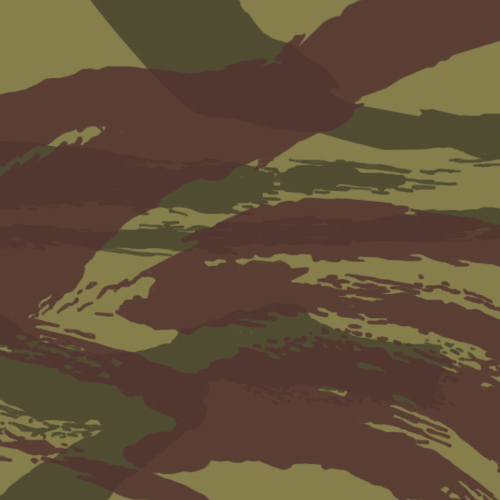 P68 dpm or Disruptive Pattern Material is highly effective British camouflage from the late 1960s. It consisted of a four color woodland style pattern heavily incorporating black (somewhat of an innovation) that made it perfect for northern European woodland and kept it in use with several variations up until the modern day. dpm which saw use in Northern Ireland and the Falklands is now being phased out by the British in favour of Multi-Terrain Pattern. Understandably dpm is used predominantly by companies with a strong British identity such as Barbour and Fred Perry. You commonly see dpm applied to streetwear oriented items. 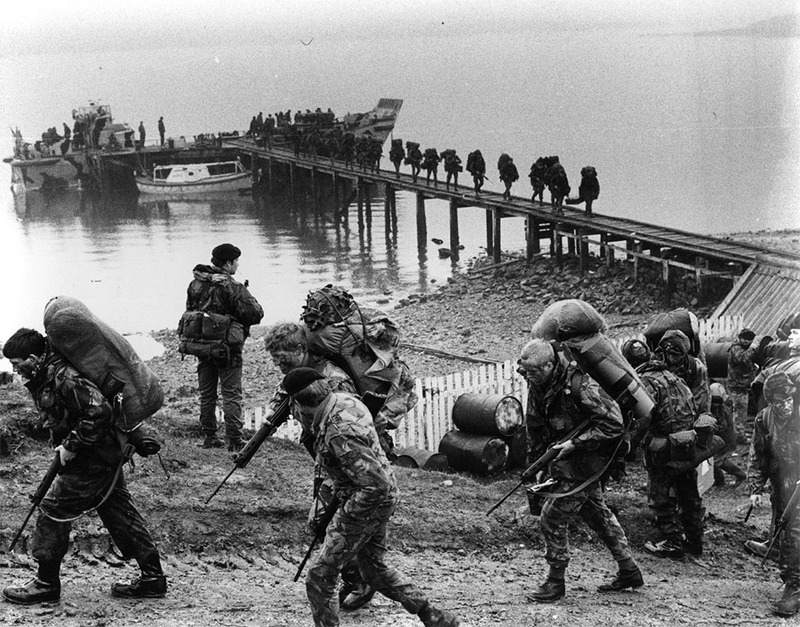 British troops in the Falklands wearing dpm. Fred Perry Japan have also produced some interesting polos with dpm colour separations. 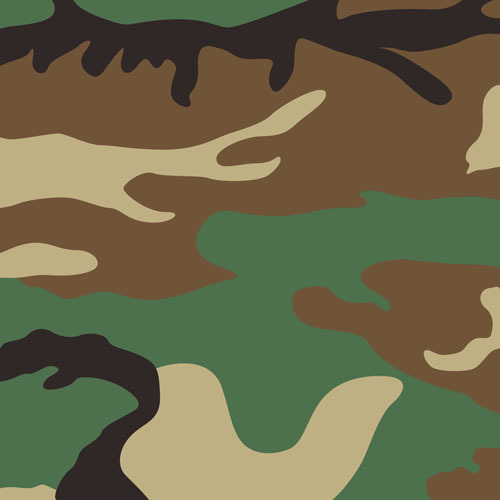 US Woodland is possibly the most famous camouflage ever created, it’s the pattern that pops into most people’s heads when they think of camo. 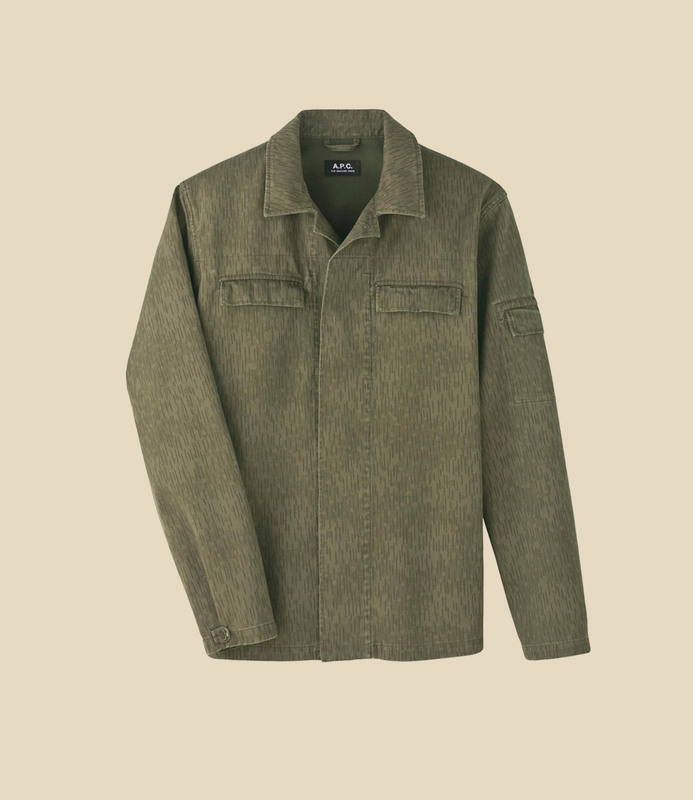 This is probably down to both its longevity (it remained in use in branches of the US military a good 30+ years after its creation) and its ubiquity as it has been endlessly copied and appropriated by fashion brands and other militaries. 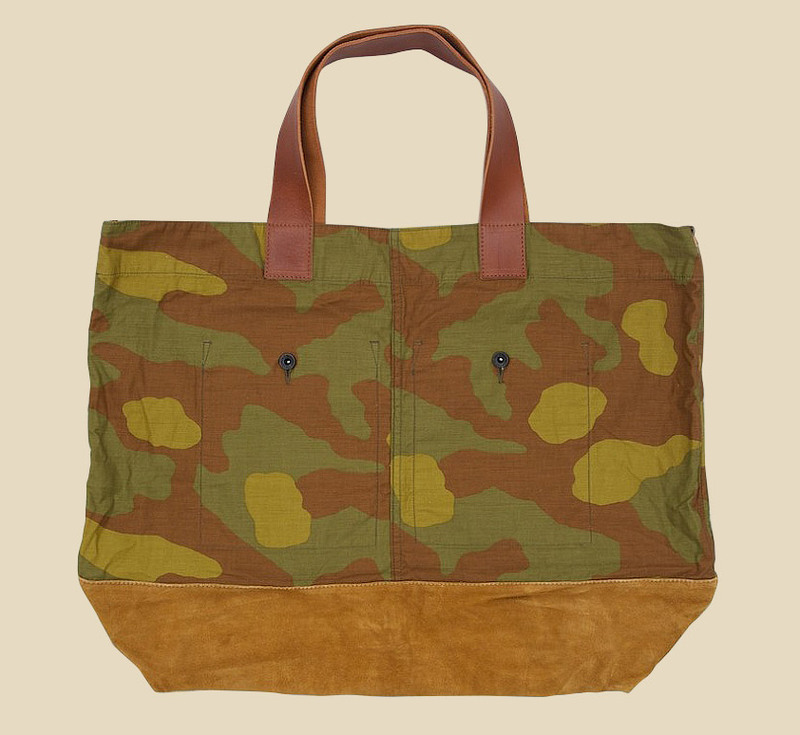 It has its roots in a pattern developed by the Army erdl (Engineer Research & Development Laboratory) in the late 1940s. 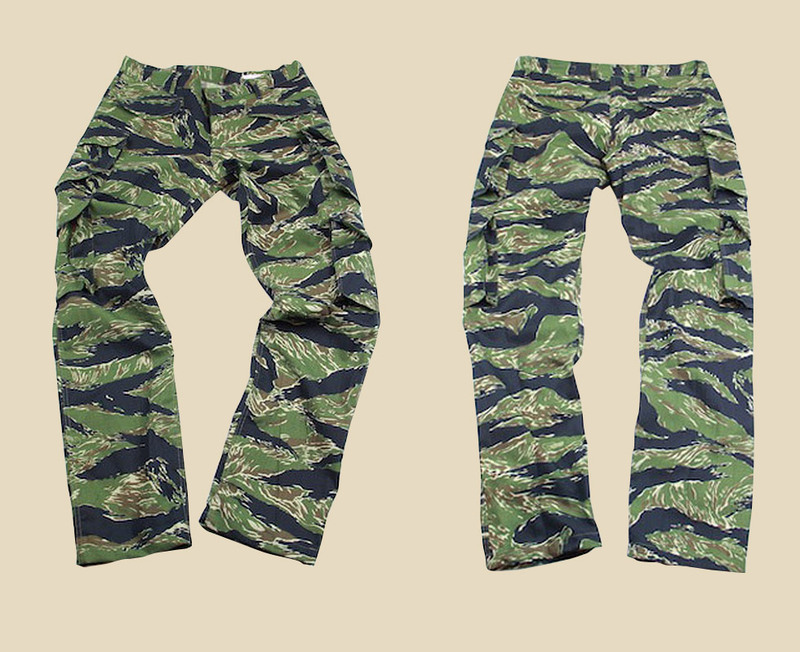 This pattern become known as erdl but wasn’t utilised until the 1960s, when special forces in Vietnam put it to use, especially in the heavily forested highlands. erdl was revived in the early 1980s but, modified for use in the European theatre with the pattern enlarged by 60% to be be better suited to long distance in woodlands. 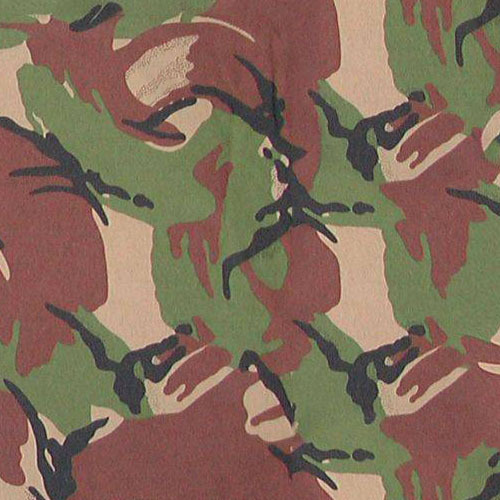 The rest is history — it’s been used for decades, created in every tone & variation possible for both civilian & military use, and is still one of the most common camouflages found in a fashion context. 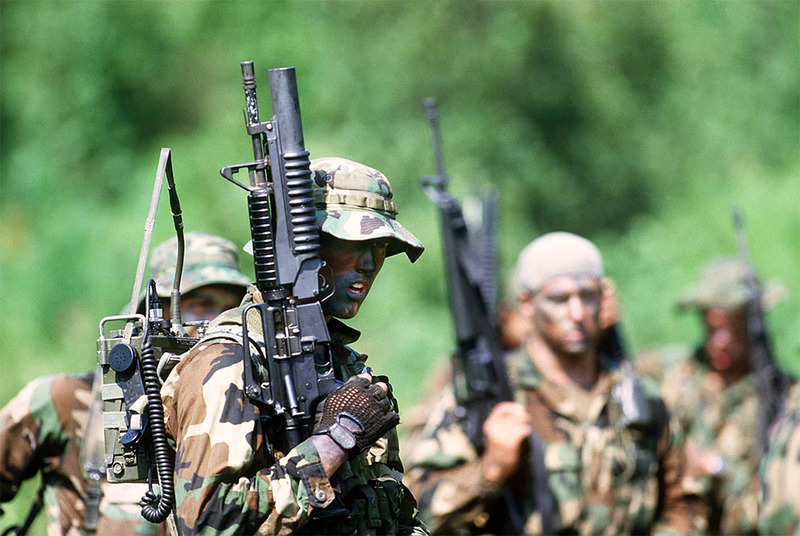 US Navy Seals in Woodland pattern, 1987. 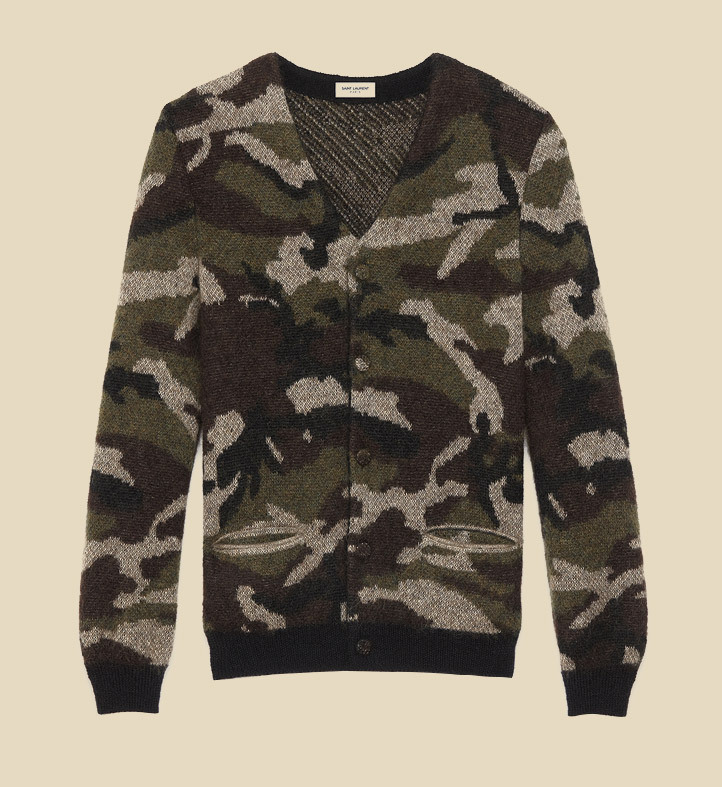 In a way camouflage has never been easier to wear. 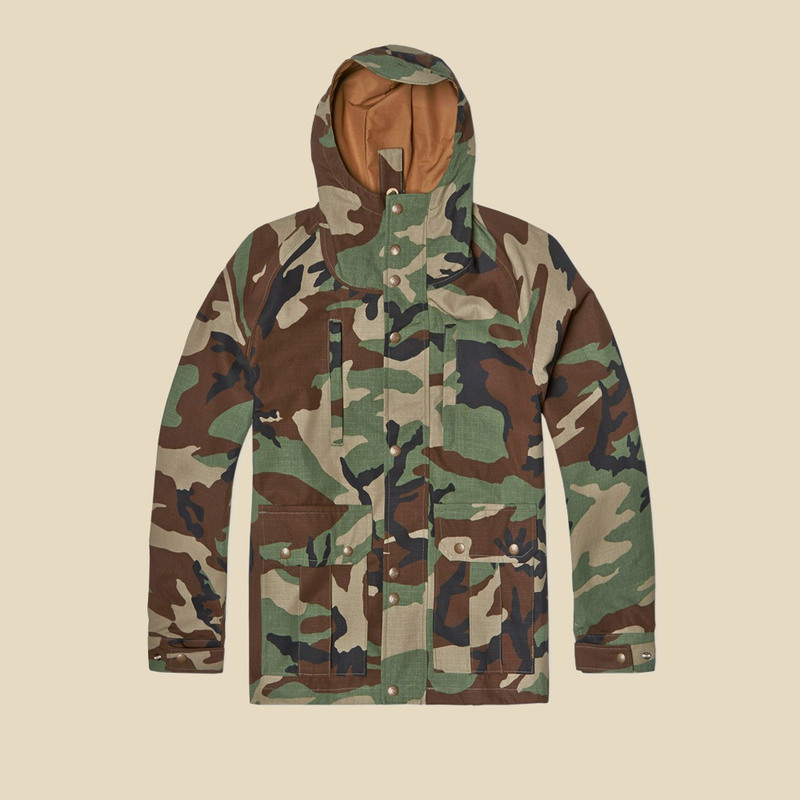 Once produced rarely for clothing brands, and then usually solely in US Woodland, the expansion of Japanese designers using camo & companies inspired by them has meant that once obscure European & American patterns are common. 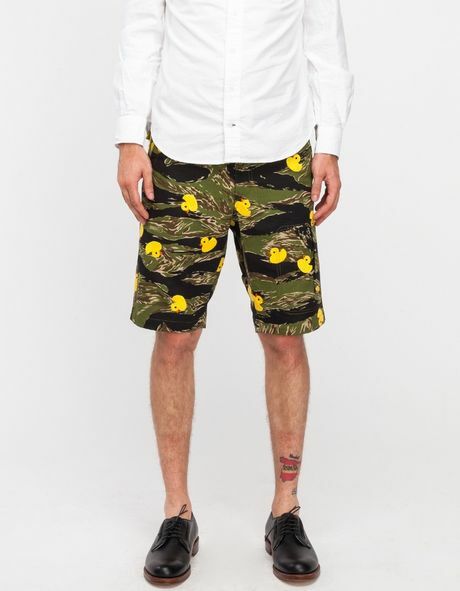 It also means camouflage is applied to everything from wallets to socks & backpacks, which is helpful if you’re not embracing a full on street wear style. I offer the following observations and their accompanying photos as tips. 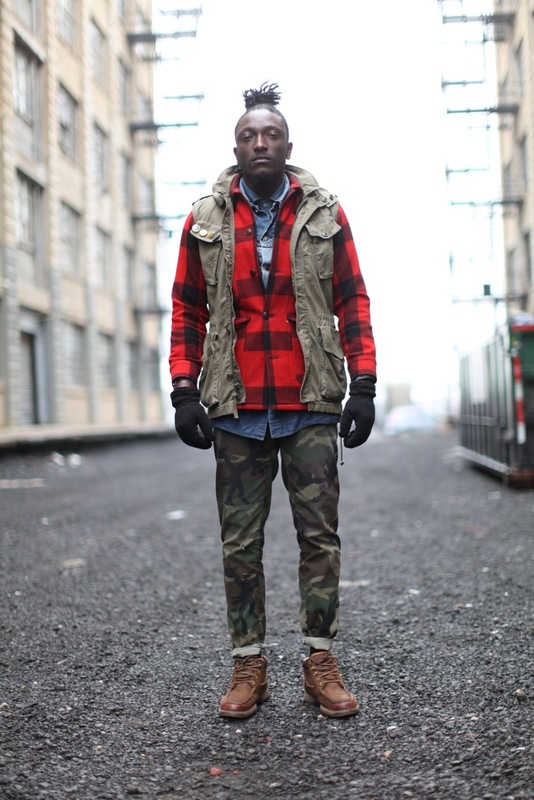 While camouflage is designed to hide in nature it stands out in an urban environment, like plaid it should be used sparingly with no more than one item of camo in an outfit. 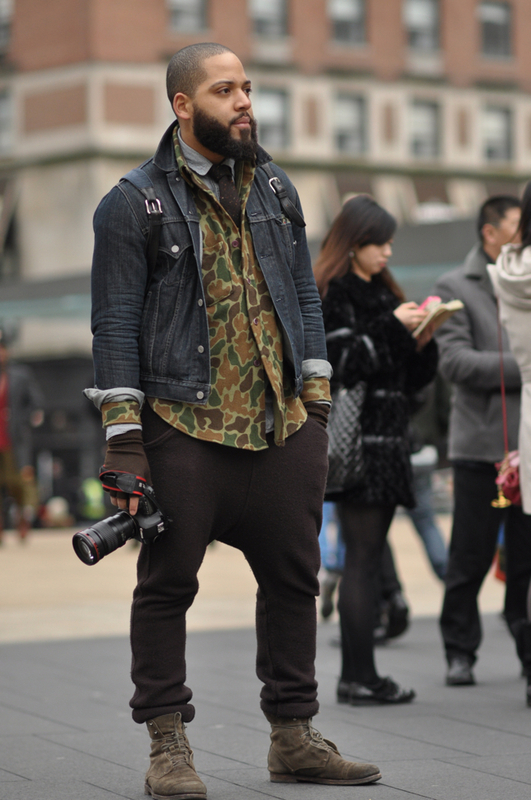 If you aren’t embracing the streetwear aesthetic you can use camo with sock or accessories. 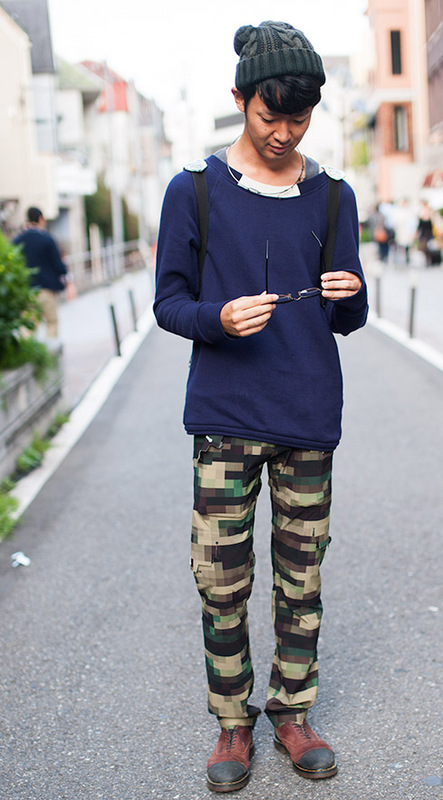 Camouflage seems best when paired with correspondingly simple clothing in khakis, greys navys or blacks. More pattern or a more striking color creates too much noise. 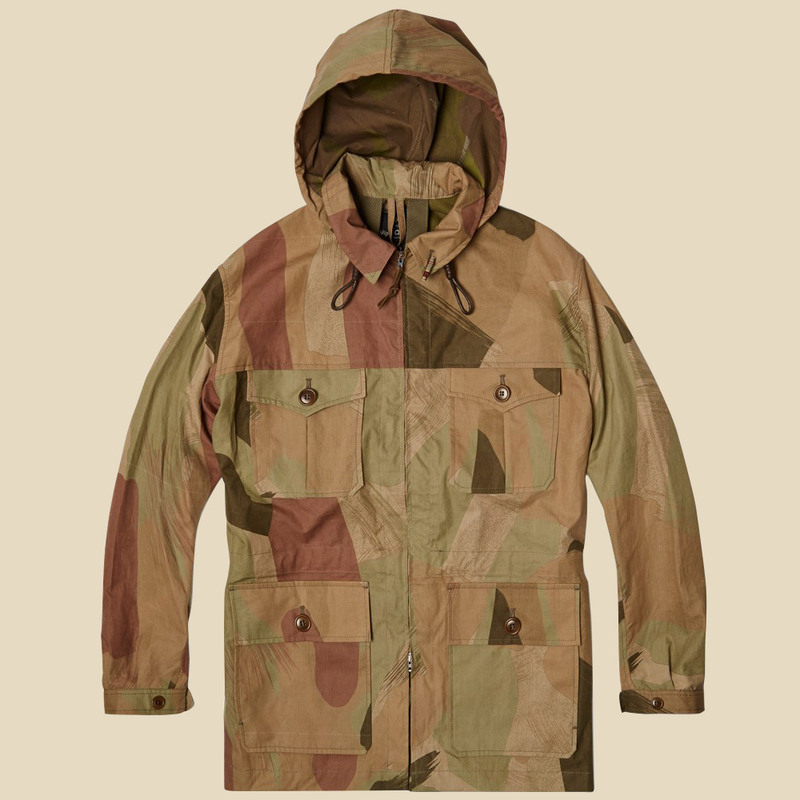 More recent camouflage is harder to pull off than vintage designs, for the simple reason that with contemporary gear you risk looking like a survivalist/military wannabe, not to say it can't be done but it's a risk. More & more patterns then ever are available, find one that works for your wardrobe. 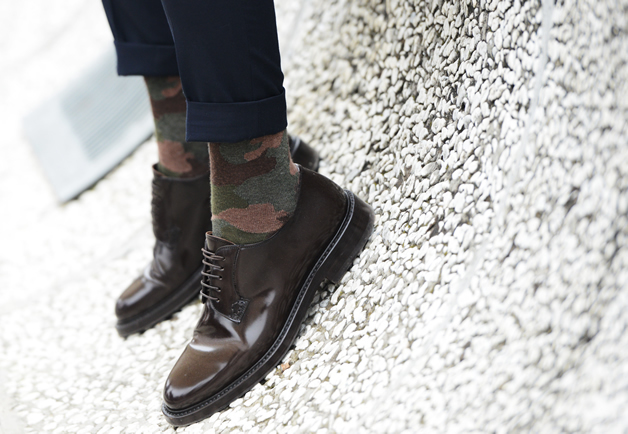 Avoid wearing camo with more formal clothes, the combination can be striking but is often off-putting. 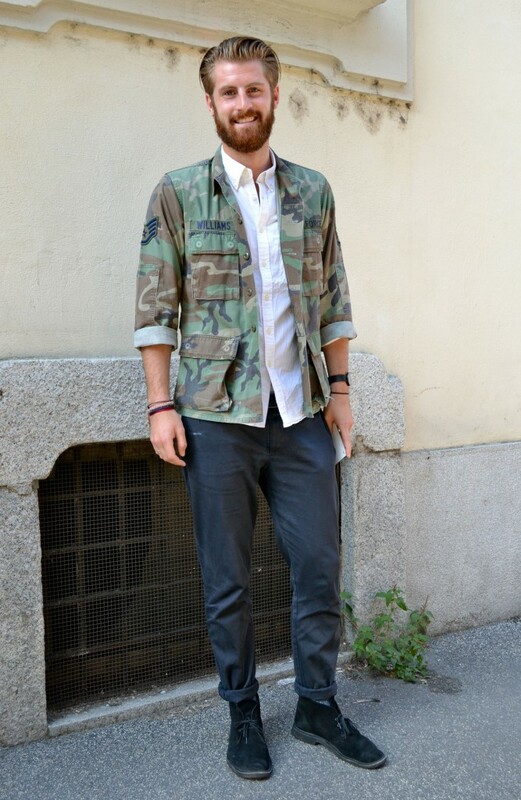 Easiest way to incorporate it into your wardrobe is to simply wear a light camo overshirt in the same way you would a jean jacket or bomber. If you can’t find the pattern you’re looking for from designers go repro or vintage, almost every variety will be available. Brut Vintage is a great source. 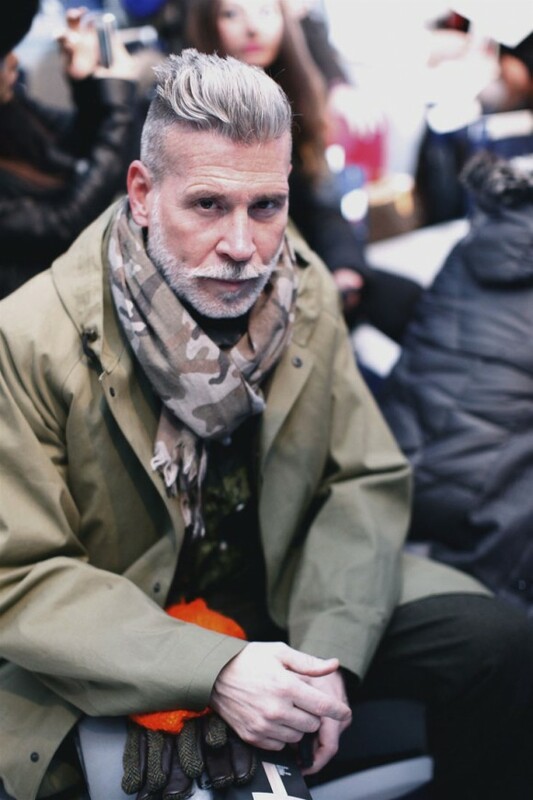 Generally with original military garments you'll want to size down quite a bit as they were designed for layering.